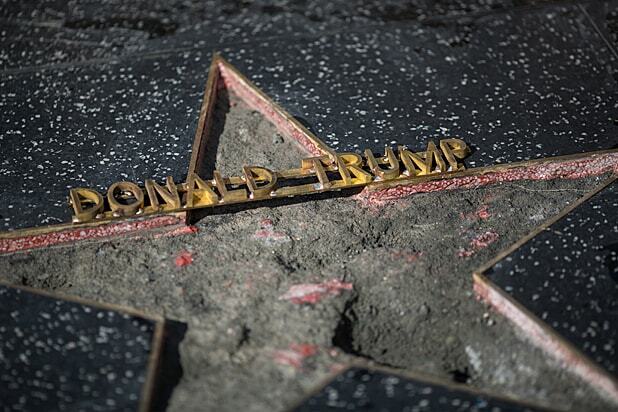 A man is in custody at the Los Angeles Police Department’s Hollywood station waiting to be booked as he is suspected of destroying Donald Trump’s Hollywood Walk of Fame star with a pickaxe early Wednesday morning, LAPD Officer Ray Brown told TheWrap. 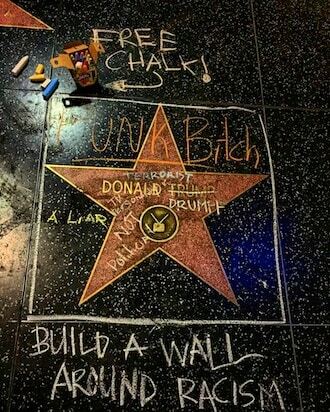 The suspect walked up to Trump’s star off of Hollywood Boulevard and Highland Avenue around 3:30 a.m. Wednesday morning and mined through most of it, including the entire nameplate. 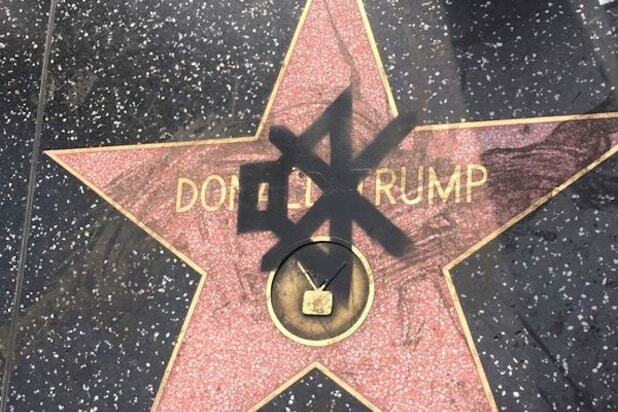 The man is expected to be booked on suspicion of felony vandalism. 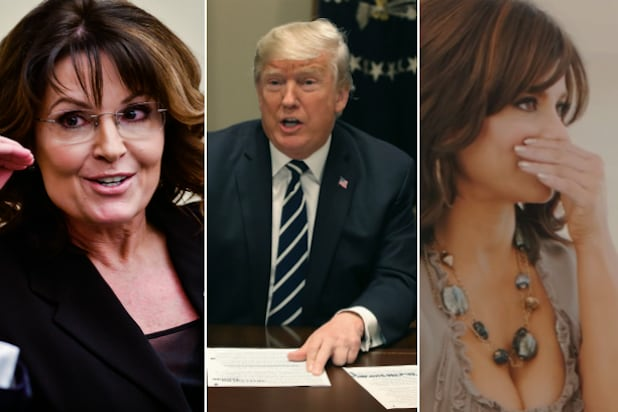 The suspect’s identity is not yet public. 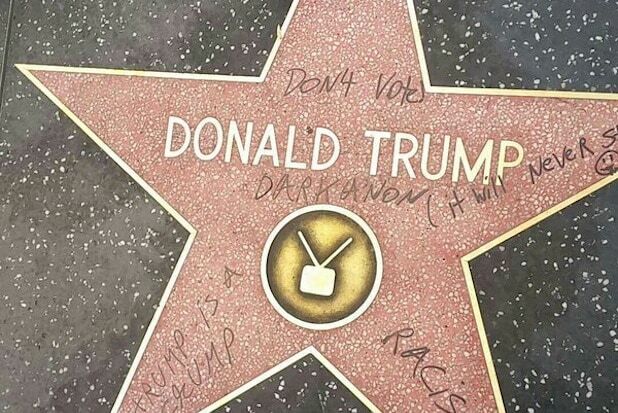 According to NBC’s local Los Angeles affiliate, the suspect reported the crime to police and later turned himself in. Officer Brown did not have information on those particular details. Eyewitnesses told NBC the man pulled the pickaxe from a guitar case he was carrying. 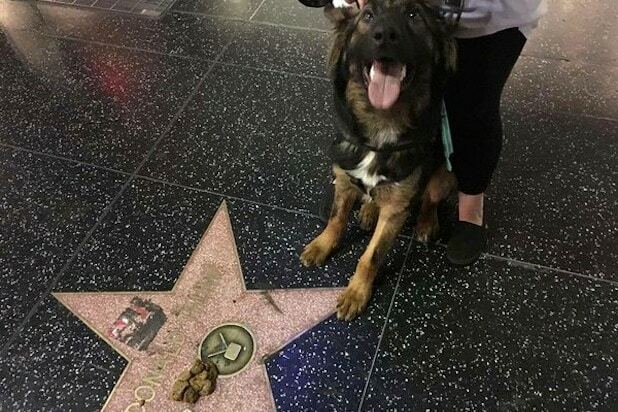 Below is a photo of the aftermath, courtesy of ABC 7. Our readers can see the in-tact “Before” picture at the top of this post. 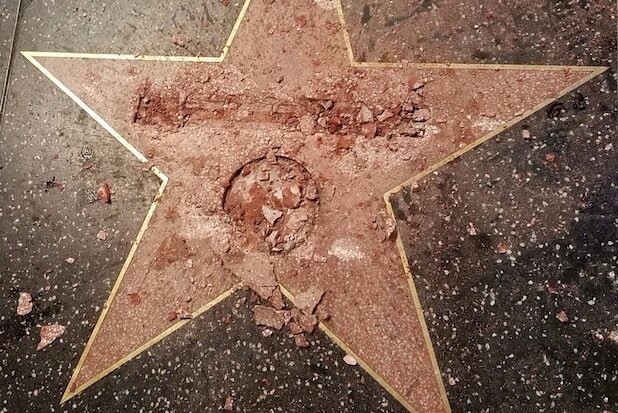 This is certainly not the first time that President Trump’s star has been vandalized. 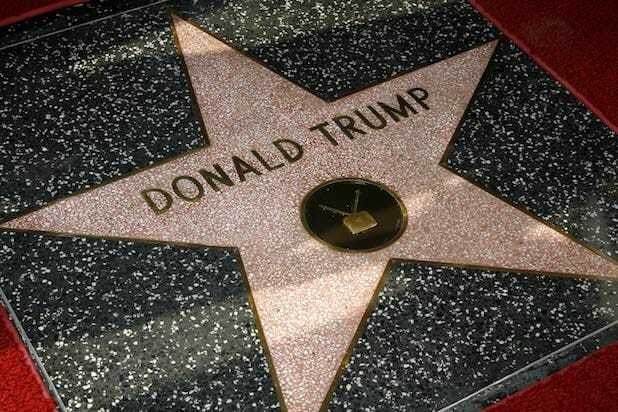 Trump received his star in 2007 for hosting “The Apprentice,” which at the time was a major hit for NBC.